I have had the great honor of working with Libby Jenkinson, author of the website “Ditch The Carbs,” herself a mother of young children. As I too am a mother of young children, we have worked together to help provide practical advice on raising healthy kids. Hope you find the information and resources helpful. First, let’s address the obvious. No child NEEDS sugar. Sugar should be eliminated or consumed only on special occasions. Sugar should NOT be part of a child’s daily diet. Soda should be completely eliminated. There is absolutely no need for soda, and the health risks are well documented. The American Heart Association recommends no more than 12g of sugar for school aged children. (For reference, a 20 oz soda has 65g of sugar.) Look for sugar even in so called “healthy” foods, like yogurt. Next, let’s talk about juice. Juice is NOT good for anyone, including children. That may be shocking to hear. But let’s think about this. When a person eats a piece of fruit, they are getting the sugar from only one piece of fruit. They will also get fiber. But when drinking juice, a person gets just the sugar (no fiber) from many, many pieces of fruit. This is far too much sugar. While fruit has more nutrients than table sugar, the body does not know the difference between table sugar and natural sugar. Both will send blood glucose soaring. Juice should be avoided. In fact, all sweetened drinks should be eliminated. NEVER DRINK YOUR CARBS. Next, try to eliminate processed, refined carbohydrates, particularly those made with flour (white or wheat). This would include everything that can sit in a box or a bag on a shelf, like cookies, cereal, crackers, chips and pretzels. It also includes things perceived as being healthy, like bread and pasta. These are heavily refined and processed, regardless of whether they are marked “healthy whole grain” or not. Do you see ANYTHING in bread or pasta that remotely looks like a stalk of wheat? No. Children do not need processed, refined carbohydrates. So when eliminating sugar, flour and processed foods, what is left to eat? REAL FOOD. Meat, eggs, vegetables, fruit, dairy, nuts/seeds. Do children need to restrict fat? Children do NOT need “low fat” products. “Low fat” almost always means sugar has been added. Children need healthy fats to absorb critical vitamins and nutrients. Fats found in nature, such as butter and dairy, avocados, nuts/seeds, eggs and coconut oil are healthy fats for children. Processed fats, such as vegetable oil, canola oil, or vegetable shortening are bad for everyone, including children. How much fruit should children have? If a child is of normal weight and active, some fruit could be part of a child’s healthy diet. However, if a child has diabetes, or if a child is overweight, fruit is not an ideal choice. Be cautious with high sugar fruits such as bananas, grapes, pineapples and melons. These should be limited in quantity. Low sugar fruits, such as berries, could be used more freely. I recommend no more than two small servings of fruit per day, no more than one being a sweet fruit. I also recommend eating fruit with a source of protein (such as cheese), or with a meal, rather than alone as a snack. Children with diabetes (type 1 or type 2), or children who are overweight, may need to restrict fruit. How many vegetables should children have? If child is of normal weight and active, some starchy vegetables could be part of a child’s healthy diet. However, if a child has diabetes, or if a child is overweight, starchy vegetables are not an ideal choice. Non-starchy vegetables should make up the bulk of a child’s diet from plant based foods. Be cautious with starchy vegetables such as potatoes, sweet potatoes and root vegetables. These should be limited in quantity. Non-starchy vegetables, such as broccoli and leafy greens should be used generously. I recommend no more than one to two small servings of starchy vegetables per day with no less than three larger servings of non-starchy vegetables per day. Raw vegetables also make excellent snacks. Children with diabetes (type 1 or type 2), or children who are overweight, may need to restrict starchy vegetables, but should be given several portions of non-starchy vegetables. How about legumes? If a child if of normal weight and active, some legumes (beans, peas, lentils) could possibly be part of a child’s diet. However, if a child has diabetes, or if a child is overweight, legumes are not an ideal choice. Here is another concern…legumes can cause some digestive issues for many people. There are ways to prepare legumes that may assist in lessening these digestive issues. Legumes are high in carbohydrates. I don’t particularly recommend legumes due to the potential for digestive issues, nor do I suggest replacing legumes for animal based proteins in a child’s diet. If choosing to eat these, small portions are recommended. Children with diabetes (type 1 or type 2), or children who are overweight, may need to restrict legumes. Do kids need to restrict dietary cholesterol (ie eggs)? No, neither adults nor children need to restrict dietary cholesterol. So, can kids be “low carb?” Yes. In fact, when eliminating sugar and processed food, a person will almost by definition be “low carb.” It would be difficult to eat large amount of carbohydrates when eating real, unprocessed foods. For parents of non-diabetic children, the above guidelines will give your children plenty of nutrient dense carbohydrates for their daily needs. For parents of children with diabetes, further restricting carbohydrates is both healthy and safe. Get children into the garden. If you don’t have a garden, find a local farm or CSA and show your children how healthy food is grown. Take your children to the grocery store and the farmers markets and show them how to shop for healthy foods. Teach them how each type of food affects their health and well being. If you have the time or resources, plant a few easy growing garden vegetables in containers and allow your children to tend to them. I have found that peppers, zucchini, cucumbers and yellow squash grow well in containers. A small herb garden would also be easy for children to manage. Get children into the kitchen. Teach them how to prepare and cook food. Help them understand that being healthy means cooking for yourself rather than allowing a corporation to cook for you through the use of fast foods, and packaged convenience foods. Healthy foods can be made into “convenience” foods. Having healthy foods on hand, such as boiled eggs, sliced and chopped raw vegetables, cheese cubes or sticks, and nuts/seeds will assure that your kids always have quick “go-to,” easy snacks. Lack of activity is NOT the cause of the obesity crisis, poor dietary choices IS. However, lack of activity adds to the problem. 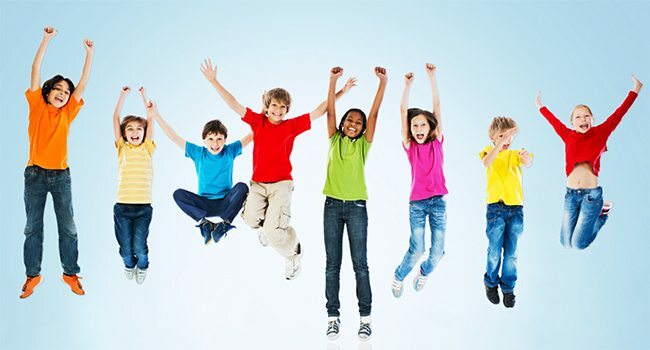 It is recommended that children get 60 minutes of vigorous exercise per day. Exercise IS NOT a substitute for a healthy diet. We cannot exercise away the detrimental health effects of poor dietary choices. But exercise CAN make a healthy diet work better. Children should have a variety of exercise. Make sure to take appropriate safety precautions (such as using helmets or knee pads, etc when needed) with physical activity. School aged children require 9-11 hours of quality sleep every night. (Toddlers and pre-schoolers need up to 13 or 14 hours.) Inadequate quantity of quality of sleep can lead to numerous health concerns for children, including weight gain, mood and attention disorders, and learning and memory problems. Children should be kept on a regular sleep schedule, even on non-school days. Use the two hours before bedtime to wind down. This means no eating, exercise, or stimulating activity such as television or use of electronic devices before bed. A bedtime routine which may include bath and stories (paper books, not electronic books) is helpful. Don’t underestimate the importance of sleep. It is AS crucial as a healthy diet for your children. Fortunately, there are ways to make healthy substitutes for nearly all of the healthy foods your kids love, like pizza, cookies, muffins, crackers, pasta, chicken “nuggets” etc. With a little creativity in the kitchen and well stocked pantry, healthy cooking can be a breeze. Try to replace non-starchy items for starchy items, such as using zucchini noodles in place of pasta noodles. Try various nut flours in place of traditional flours. Use natural, low/zero glycemic sweetener options instead of sugar. Here is an amazing video from the mother of a child with Type 1 Diabetes who makes healthy alternatives of all of her child’s favorite foods, and MORE. This also shows how low carb living is healthy for all children (not just those with diabetes) and how to get your child interested in healthy foods early in life. Enjoy this extremely powerful presentation. Does this mean that your child will never eat anything unhealthy, or will never miss their daily exercise, or will never stay up too late on their electronic device? This would only be true if we as parents were perfect, had unlimited energy, and nothing else competing for our time. I think we all know that, just as we adults aren’t always able to do what is right and healthy for ourselves 100% of the time, we may not be able to be with our child 100% of the time, helping them make healthy decisions. Dr. David Perlmutter, Empowering Neurologist, suggest aiming to be on track 90% of the time. I think that is a good goal. Personally, I grew up on hot dogs, macaroni and cheese, cereal, and canned soups for two of my daily meals (dinner was usually home cooked), yet I still enjoy good health as an adult. So don’t be too hard on yourself if the struggles of life lead to the occasional use of a convenience food. This can be minimized by good preparation. Having a variety of healthy, quick snacks ready to go is a must. Cooking in bulk and spending a few prep-days per week in the kitchen goes a long way toward maintaining healthy habits. Teaching our kids healthy habits while young can prepare them for a life of good health, free from the complications of chronic, lifestyle-related disease. It is worth all the effort we can put forth. Wishing you and your family health and happiness! Here is an interview with Libby Jenkinson, the Creator of the Website www.ditchthecarbs.com talking about how she transitioned her family to healthy eating and how to keep realistic expectations. Libby is a registered pharmacist, mother of 3 children. After discovering LCHF, Libby wanted to retrain as a dietitian or nutritionist, but there are no low carb degree courses, hence Ditch The Carbs was born. She has been mentioned and shared by some of the most respected low carb authors, scientists and websites. To date she has reached 5 million pageviews and is now the leading low carb website in New Zealand and Australia. Libby truly feels she has helped more people regain their health in the last 2 years than the last 25 years dispensing prescriptions. Follow her on Facebook, Twitter, Instagram and Pinterest. So Why Should Children Go Low Carb? By reducing processed food from your children’s diet, you become low carb (almost by default) and improve their nutrition immensely. Start to consider processed carbs such as bread, rice and pasta as nothing more than bulking agents. Too many children are overfed and undernourished. All children will benefit from lowering their carb, sugar, and wheat intake. Remember, we are low carb not no carb. This is the most vital point that critics need to understand. My children still eat carbohydrates, but they get them from nuts, seeds, dairy, non-starchy vegetables and low sugar fruit. Not from bread, pasta, rice, cakes and cereals. How Low Carb Should You Go? How far you remove carbs from their diet depends on your children’s needs. If they are active and in the healthy weight range you may allow them more carbs than those who need to be controlled more tightly. Children are generally more active and insulin sensitive than adults, so their body can deal with sugars and carbs more efficiently, but most children eat incredibly high carb diet without being aware of it. Overweight children should be controlled quite tightly. Studies have shown that children eating a ”low carb high fat’ diet, lose more weight and keep it off far better than those on a ‘calorie restricted low fat diet’. Yes, children do have slightly different nutritional requirements from adults: they need more fat and protein. But filling their plates with empty calories and high carbs in the form of white pasta, bread and rice is no nutritional kindness. What Should I Remove From Their Diet? All children will benefit from stopping immediately all soft drinks, fruit juice, energy drinks, and eating fewer cakes, sweets, ice cream, chips and tomato/BBQ sauce. Their bodies are growing at a rapid rate, and we need to feed them the nutrients required for all the complex mechanisms that are going on inside their growing body. This is the first generation where our children have a shorter life expectancy than their parents. Children need healthy FATS – they keep you full for longer, contain essential fatty acids and supply the fat soluble vitamins A, D, E and K. Healthy fats are best obtained from oily fish, tuna, salmon, nuts, seeds, avocados, olive oil, meat, and cheese. Children need protein – protein supplies essential amino acids, which are the building blocks of their growing muscles. Children need carbohydrates – but nowhere near the quantity most people think. Remember we are LOW carb not NO carb. Children need vegetables – fibre, vitamins, minerals, trace elements, antioxidants, phytochemicals and all the other hundreds of compounds that haven’t even been discovered yet. Fruits and vegetables should not be seen as equal. Fruit is incredibly high in sugar and fructose so I limit fruit to 1 or 2 pieces of low sugar fruit a day. Cut back on high sugar tropical fruits such as pineapple, melons, and grapes and never serve fruit juice or dried fruit (natures candy). A whole piece of fruit contains fibre and nutrients, and is self limiting to how many you can eat. A glass of orange juice is not equivalent to 6 oranges; it is equivalent to the sugar from 6 oranges. But My Kids Wont Eat Vegetables! Put butter, grated cheese or cream cheese on the table instead of tomato sauce (too processed and full of sugar). Let them flavour their own food. I allow my youngest to always leave one item on his plate (not the meat, this must be eaten). What he doesn’t realise, is that I serve him more than anyone (for his size) and so by missing out on one item, he is still eating a well balanced nutritious meal. Why grain free? We have all grown up with the traditional sandwich, or more recently, wraps or sushi in our lunchbox. It is easy, just throw something inside 2 slices of bread and voila – lunch. But is this really a good lunch? Think of a healthy sandwich, now take away the bread and what remains are the nutritious elements – meat, salad, cheese, mayonnaise etc. Grains are used to fatten animals and force-fed to geese to produce foie gras (French for fatty liver). 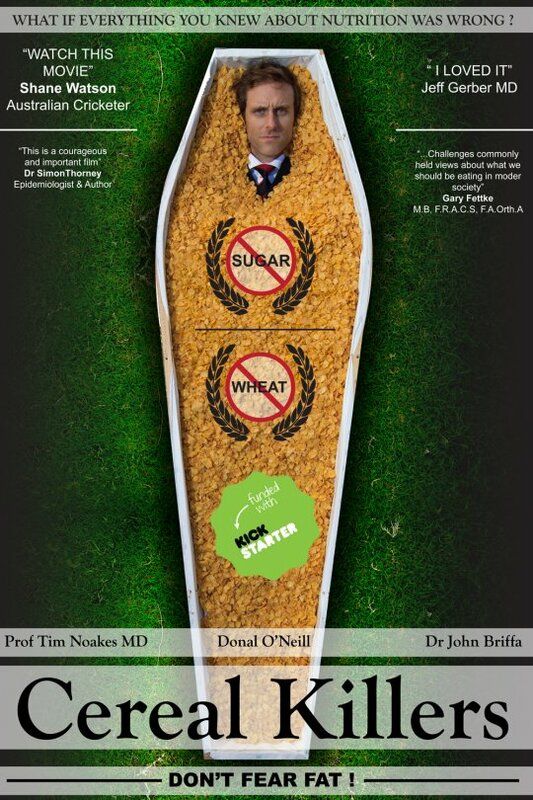 The modern highly processed grains available now are incredibly removed from the bread our ancestors farmed and ate. How To Start? Ask your children to choose what to go in their lunch boxes. I know each of my children’s preferences so I make their lunchbox accordingly. Where one has tomatoes and feta, another will have capsicum and carrots. Parties/eating out. I would say I am pretty good at what I feed them at home so I don’t restrict them too much when they are at friends or at parties. I do have one rule however, they are not allowed to drink soda or juice. It is easy to ask for a glass of water and avoid possibly 20+ spoons of sugar. Eating out is a tough one. Sometimes there is no other option at a café than cakes, muffins, donuts, and sandwiches. Try to make the best choice from what they have. Would a handmade meat pie be a better option than a caramel slice? Is this a special occasion with Grandma where it is part of their tradition with her? How about ordering 1 cake and splitting it? Ensure soda or juice is not ordered. Save your $$$ and ask for a jug of water. McDonalds – how about a small burger meal, water and replace the fries with a side salad. Open the burger and put the meat patties, sauces and cheese on top of the salad. Voila, the regular meal would have been 870 kCal, 133g carbs, the new meal is only 204kCal and 4g carbs! Mexican – how about a burrito but choose plenty of extra salad, meat, salsa, cheese, guacamole but no rice or beans. When eating out, do the best you can. See if you can adapt what is on offer, remove the rice, bread or even remove the pastry from a sausage roll. How to Start Low Carb Lunchboxes? Start slowly. If you have a fussy eater, your household will not be a happy one if you go straight in and change everything overnight. If they really can’t do without a sandwich, find the thinnest bread/wrap to reduce the carbs. Start by going breadless 1 or 2 days a week, then increase the frequency. No more cakes, biscuits, muesli bars. Cut back on the fruit. Put your regular sandwich filling, in little boxes. Children love picking at lots of different foods and grazing. Buy a lunch box with little compartments, fishing tackle box or bento box. Use cold meat as a ‘wrap’. Use a slice of ham or roast beef, with some cheese and vegetables inside. Some children are picky eaters so their parents try and get them to eat whatever they can when they can. Personally I feel these are the children who need restricting the most – with their snacking. They snack constantly, demand their ‘special food’ then are never hungry for meal times. These children are getting their energy through nutritionally devoid foods such as breads, flavored yogurts, muesli bars, and processed snacks. Changing eating habits and teaching children about nutrition is so valuable. If they are brought up with healthy food principles, it will continue throughout their life. But remember, any step is a great one. Don’t feel it’s daunting, be proud of any achievement and you are trying your best. It’s hard to change our mindset from giving our children sweet treats such as muesli bars, cereal, toast and spreads, cakes or baking, to giving them savoury snacks. Try to cut down on how much and how often they snack too. Children will eat their dinner easily when they’re hungry. Make a large chopped vegetable platter. Serve the veggies with plenty of dips, grated cheese or cream cheese (they are far more likely to nibble away just to eat the dip). Smoothies. Base smoothies on low sugar fruit such as berries, add some leafy greens such as spinach and some good healthy fat to fill them up such as coconut cream. Eggs any which way. Boiled, fried, scrambled, poached, devilled eggs, paleo scotch eggs. So to all the critics who think we are restricting our children’s diet, why has it become more acceptable to eat a piece of chocolate cake with a low fat yoghurt than eating meat and vegetables in your lunchbox? We are LOW carb, not NO carb. Our emphasis is on the real whole food approach. When children aren’t on the sugar roller coaster, concentration is more sustained, and their nutrition is improved. There are so many hidden sugars in foods these days, especially ‘health’ foods. The World Health Organisation recommends 12g sugar a day (3 tsp) for children, but this is exceed each morning on cereal or toast alone. It is the accumulation of sugars throughout the day that are concerning experts. Low Carb Kids 3 – 2 weeks of school lunches and how to plan them.